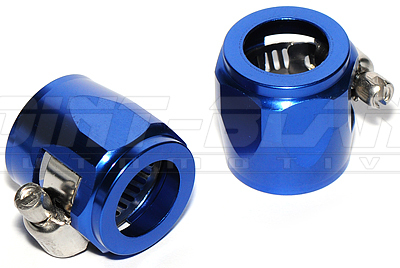 Blue aluminium hex finisher (15.8mm ID) to suit AN-6 size braided hose, e.g. 100 Series Braided Rubber Hose. 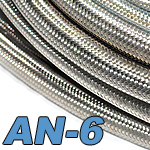 Also suitable for common fuel/water rubber and silicone hoses with a maximum OD of 15.8mm. Copyright Point-Blank Automotive. All Rights Reserved. eCommerce Software by 3dcart.